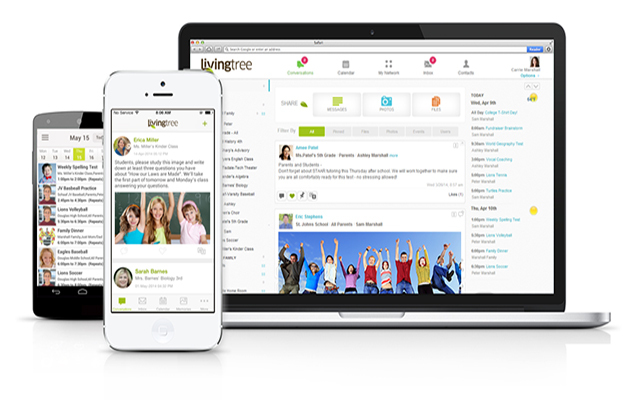 LivingTree, a private community engagement network for p–K-12 family engagement, has gained hundreds of thousands of new users and expanded its leadership team through its recent acquisition of a parent-teacher communication tool. The company has acquired Class Messenger, which makes its easy for teachers to send home important notes and classroom updates. The private, two-way messaging service enables increased communications between teachers and parents via computer, smartphone (iOS or Android) or tablet. It offers translation for more than 100 languages, SMS texting, enhanced media sharing, private messaging, analytics reporting and other features. LivingTree will continue to operate the Class Messenger platform through the end of June, according to a news release, in order to provide a seamless transition for users. Additionally, Class Messenger’s founder, Keith McSpurren, will join LivingTree’s advisory board. Further information is available on the LivingTree site.